Boom. Okay, maybe it needs a little bit of explanation. So you don’t know who Green Arrow is, or Speedy, or the Teen Titans. That’s okay. You don’t need to. I do assume you know who the Justice League is. You may have heard of some of their members, like Aquaman. Green Lantern. Batman. Superman. They’re a big deal in comic books, I hear. If you’re a superhero in that world, the Justice League isn’t the only table you can sit at, but it’s the biggest. 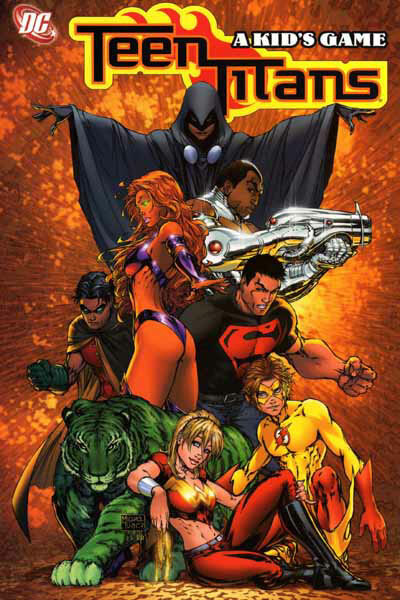 The Teen Titans are teens. Robin and Superboy are on that team, and they’ll join the League soon enough. But this isn’t about comic books, this is about the big kid table. You know the one I’m talking about. The one you can see that’s just out of reach, that all of the people you admire are sitting at. Maybe it’s at work, and you just need one more promotion to get in there. Or maybe you work with a nonprofit, and you want to sit on the board. Maybe you’re looking at the bigger picture, and thinking about relations of class and race, tables in a broader sense. It’s something that I paid keen attention to in university. In undergrad, you tend to imagine your professors only as the people who teach your classes, spending the rest of their time doing research or whatever it is they do when they’re not lecturing. Drinking wine and eating fine cheeses, or smoking pipes, you know. It’s hard to think about it, and at that point, it’s not really necessary. In graduate school though, it’s different. Your professors are your mentors, and one of the duties of a mentor is making you ready to sit at the big kid table, whatever that table might be. While doing my Master’s, I had to refer to my profs by their first names, and was encouraged to have lunch with them every day, as well as going to department functions. I got to know them as people, and started to think of how I could be a colleague and a friend to them, rather than a student. They do enjoy a good wine and a fine cheese, but they’re also pretty happy with beer and pizza, it turns out. That table you want to be at? It’s probably not that different than the one you’re at now. You think “Everything’s going to change once I’m there,” but when you get there it’s just beer with the take-out. It can be disappointing. It’s not what you were hoping for, that’s for sure. 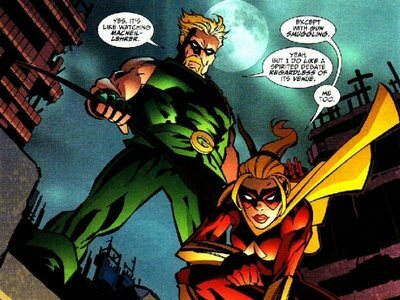 One way to look at what goes on between Green Arrow and Speedy is that it shows exactly that. She doesn’t have much more to look forward to. If she moves up to the big leagues, things are pretty much the same. But that’s not the only way to look at it. Speedy is already doing what she wants to be doing. Knowing that not much is going to change means that she can focus on what she’s doing now, rather than getting ready to change everything she’s doing when she finally gets to that big table, since no one will expect that of her. If the difference is small, then her table seems more important. She’s ready to move up, she just needs more experience. 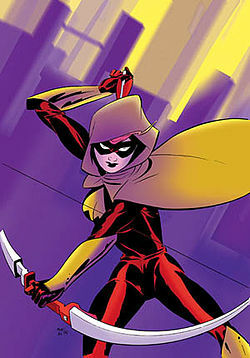 Green Arrow is providing her with the opportunity to do it, by helping her work with the Titans. That’s what mentors do. You got where you are by being yourself. Wherever you’re going, that’s how you’ll get there too. Worry less about getting ready for those changes, because odds are, the only difference is that now you get beer with the take-out. I like this, Jim. There you go, making me think again. I do my best. It’s true, though. We go through life thinking the changes will be huge, but when we get there, we’re ready, because they’re not as big as we thought they were.